Embrace the spirit of Christmas whatever the season! Dreaming of a snowy white Christmas? Embrace the spirit of Christmas with the USB LED Christmas Tree! Attention all Christmas freaks! You can now break out your Christmas Tree whenever you feel like it. 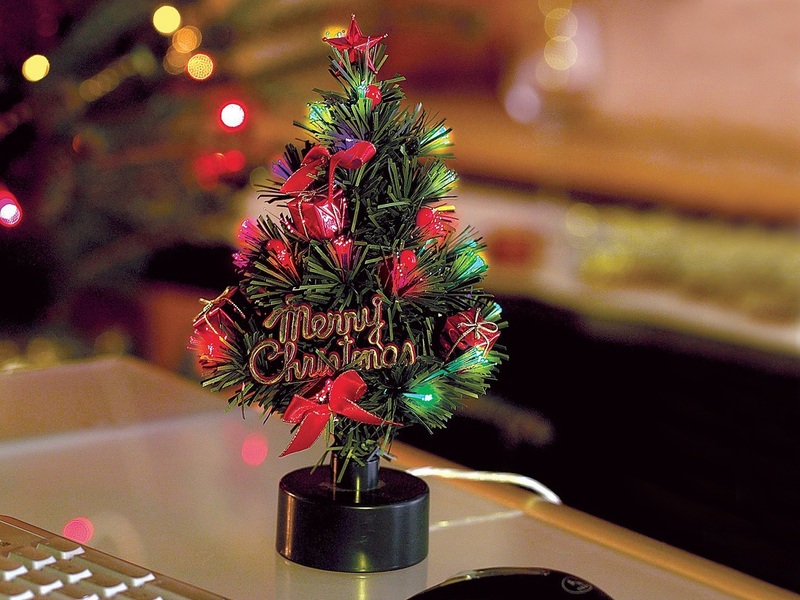 The USB LED Christmas Tree is a cute Christmas Tree made from green plastic! It's ideal for people who hate having to clean up pine needles. A nice, gold sign in the Christmas Tree wishes all passers by a Merry Christmas. This will save you the effort at home and at the office. 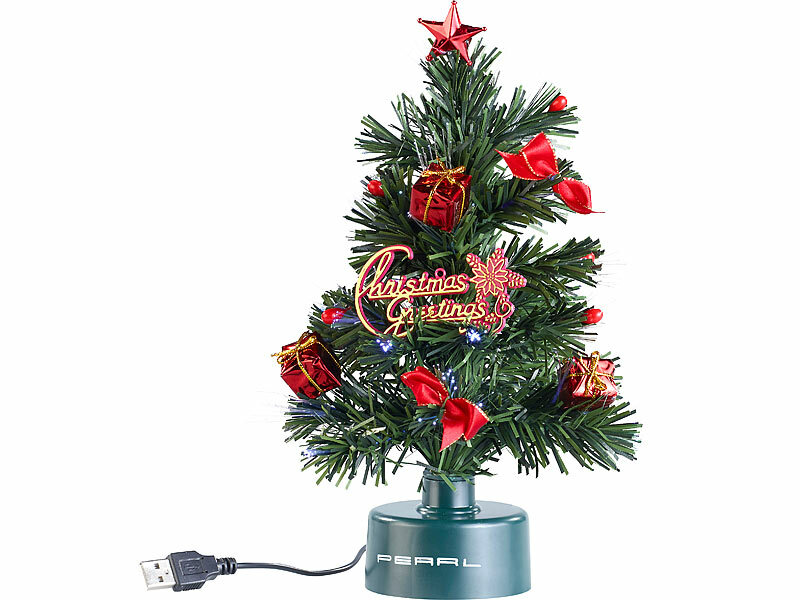 Plug the tree into your USB port and watch pretty lights in the tree light up the night! Oh Christmas Tree, oh Christmas Tree, thy LED lights are so amazing! Gold sign which says "Merry Christmas"